A Leonardo Da Vinci painting which sold for £350million last year is 'lost', prompting art lovers to plead with the Saudi Royals to confirm its location. 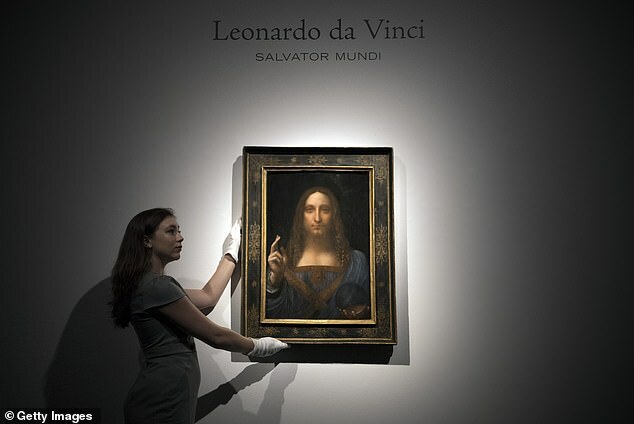 'Salvator Mundi' by the great artist hasn't been seen in public since it was 'acquired' by Louvre Abu Dhabi via the Saudi crown prince Mohammed bin Salman. Now, scholars and restorers of the painting are growing increasingly concerned about the painting's whereabouts. In 2005, the painting was acquired for less than $10,000 (£7,809) at an auction in New Orleans by a consortium of art dealers that included Robert Simon, a specialist in Old Masters. Another person with an intimate insight into the painting is someone who's actually worked on it, and she has no idea where it is either. Dianne Dwyer Modestini, an internationally renowned conservator of old master and nineteenth-century paintings who spent hundreds on hours restoring the one in question has pleaded with the Louvre Abu Dhabi to confirm that the 'extremely fragile' panel is in good hands. Its price was double the previous record set by Pablo Picasso's painting 'Women of Algiers (Version O)' ('Les Femmes D'Alger) which sold for $179.4 million in May 2015. It was lost in the past when in 2015 its whereabouts was unaccounted for until it was bought at a cut price by two collectors that had a hunch it was a Da Vinci. They enlisted the help of Dianne Dwyer Modestini and her husband who restored it to its former glory, eventually seeing it displayed in the National Gallery in 2011. It was confirmed to be the real deal and In 2013 Robert Simon's consortium sold the painting to the dealer Yves Bouvier, who the Russian billionaire Dmitry Rybolovlev says was acting as his agent. It was he, in dramatic and controversial circumstances, that sold it to the Saudi Crown Prince just days before he announced the opening of the Louvre Abu Dhabi. The painting was due to be shown there in September this year but recently announced that they are postponing the unveiling, further worrying art experts. The gallery and its Parisian version have declined to comment with further comment ever since. Simon, the former owner of Salvator Mundi, is worried too, he told The Times: 'I am concerned about its condition, its wellbeing.